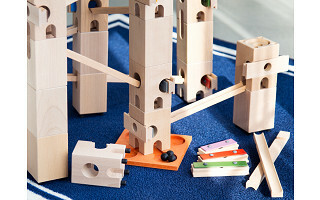 Xylophone meets marble run in Xyloba, a building toy that encourages creativity, construction skills, and music appreciation. 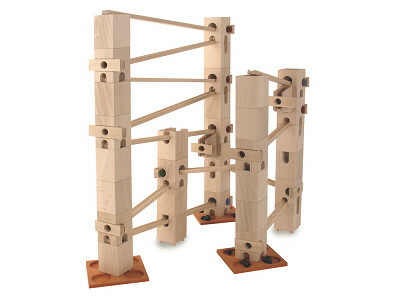 Created by Samuel Langmeier, a Swiss cellist in the Tonhalle Orchestra in Zurich, this handcrafted wooden marble run lets you compose your own melodies within the towers you build. Langmeier was inspired by the chimes he heard in a toy marble run he found in his travels: What if a classic marble run could be made with a clear, rich sound that inspired kids to experiment with music? 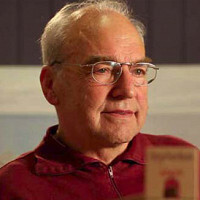 Forty-three years went into creating components that would improve sound quality, including beechwood tower parts, metal marbles, and interchangeable chimes. Though an included sound book offers song ideas, Xyloba’s intuitive building system is meant for musical discovery that is new every time you use it. A toy like no other, Xyloba promotes fine motor skills, expands the imagination, and makes music composition fun. Hello Grommeteers! Our goal in creating the marble run that makes music is to inspire kids and adults creativity by bringing construction and composition together in form of a scientific inspired art. We hope you will enjoy and share the music you create with Xyloba. The Grommet Team will be fielding your questions today on Samuel's behalf. We're excited to hear your thoughts on this unique creation, so keep them coming. @kristan What is the recommended age for the Xyloba? Hi Tara, the recommended age for the Xyloba is 2-3 and up. 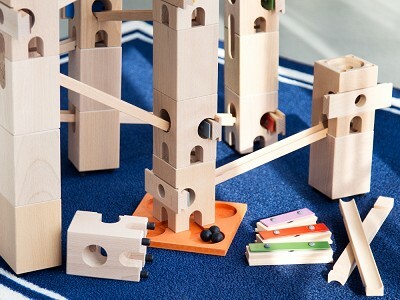 Toddlers and young children may need help assembling and enjoying the Xyloba and parental supervision is advised since there are some small pieces, such as the marble. Hi Samuel, this is amazing! The question I have is what ages is this geared for? I am thinking it might be too young for my son who is 18 and has played the marimba all through high school and now in college. He loves building things with legos etc. What are your thoughts? Hi Sandy, it is great to hear how musically inclined your son is. "Kids" of all ages can enjoy and shape their experience with the Xyloba. If you son enjoys building and music, he is sure to enjoy the endless structural and song variations the Xyloba can provide. I hope this helps and let us know if you have any further questions. @kristan Thanks Kristan yes music and building are two of his favorite things to do, I appreciate your feedback. It truly is a wonderful concept! Are these sets expandable ? Hi Elaine, thank you for this great question. Samuel does make extension sets, but it is not something The Grommet is carrying at this time. Is a book with suggested melodies included with the Piccolino set? What can you do with 4 notes? @Sarah I think this product is intended for a younger crowd, more like 5-12 perhaps. But it would probably be fun for all age groups. Jerome, you are certainly correct and thank you for your feedback. Sarah, The Xyloba can be enjoyed in different ways by all ages, but the Piccolino is the most basic set of the three. Each set comes with a sound book to offer musical ideas and endless variations can be made with simple changes in construction. You can also visit Samuel's website for additional songs and ideas. Do you have an estimate for when the large set will be available? Hi Janelle, Because they are made in Switzerland, it will take a few weeks for the Orchesta version to become available. In the meantime, you can click the "Notify When Available" button on the featured item's page and you will receive an email as soon as this item returns to stock. Thank you for your interest. How many different songs can be made from the book in each set? Hi Shannon, each set comes with the same helpful booklet and plenty of "songs" can be made outside of those listed therein. The Piccolino lists 6 simple melodic phrases and the Mezzo lists 8. The Orchestra lists 3 simple melodic phrases, but the songs and melodies that can be created are endless. Please let us know if you have any further questions and hopefully this information will be helpful. Hi, This is a wonderful concept and looks beautifully made. Does each set have a full octave? If not, how many notes come with each set? Is the small set appropriate for a 4 or 5 year old? What is the age range for this? Hi Angelina, Each Xyloba set comes with a different set of notes: the Piccolino comes with notes C D E G; the Mezzo comes with C D E F G A B C; and the Orchestra comes with the whole C scale, twice. The Piccolino set can be great for a 4-5 year old, but they may be more challenged by - and able to grow with - the Mezzo or the Orchestra. Thank you for the wonderful questions and for your support of this ingenious "toy." Is this product too young for a 12-year old? Hi Jo, this product can be enjoyed in different ways by all ages. We tested these sets here at The Grommet and folks of all ages enjoyed the versatility of the Xyloba; some of us enjoyed building the structures, while others enjoyed experiment with the myriad of possible sound combinations. All-in-all, the Xyloba has proven to be able to be enjoyed at any age.